Looking around your home and wondering which spring cleaning chores you must do and which you can skip? Spring is in the air here and all I want to do is sit on the patio and listen to the birds chirp. Too bad my patio is filthy because I haven’t gotten around to cleaning it yet. Then, of course, as I enjoy all these spring flowers, I start sneezing because my allergies are horrible. So I hit the medicine cabinet to grab the allergy meds, only to find out they are expired because I haven’t used them for a year. Sound familiar? While spring cleaning chores aren’t exactly FUN, they do help us keep our lives in order. But which ones are the most important? I am not spending a beautiful spring day scrubbing the baseboards of my hallways but there are a few spring cleaning chores that I do every single year and I will be tackling them over the coming months. If you want to join me in getting yourself organized this month, here are a few spring cleaning chores to add to your to do list! Your front porch is the first thing people see when they arrive at your home so put this one on the top of your spring cleaning chores checklist. Put your best foot forward by making your front porch as clean and attractive as possible. Take a broom and sweep it off. Make sure you get any cobwebs off the windows as well. Place a pot of pretty flowers on the step and consider adding a wreath or sign on the door to welcome visitors. 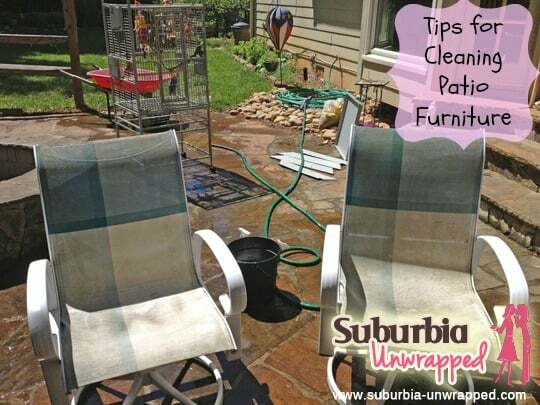 If you have a back patio, make sure you tackle the horrible job of cleaning patio furniture. You will spend much more time in your back yard if your patio is clean. You may forget all about your medicine cabinet because, honestly, who the heck ever looks in there, right? However, this is one of the spring cleaning chores I tackle every single year without fail. Now that winter is over, you are probably left with cough medicine bottles that are almost completely empty and inhalers that may or may not actually have any more uses left on them. Ditch the empty and expired things and make a list of items you need to restock it. Get them now, before cold and flu season hits again! 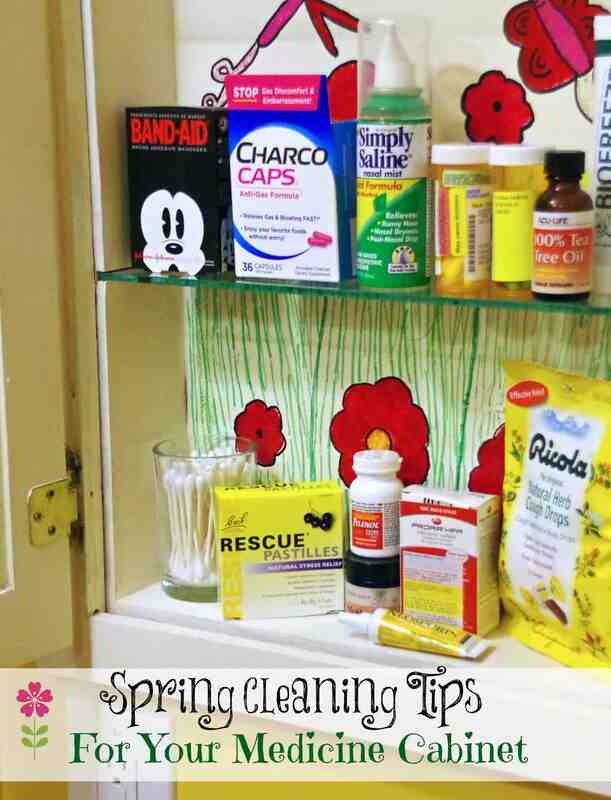 Check out these spring cleaning tips for your medicine cabinet and get moving! The kitchen is where we spend a significant amount of our time. 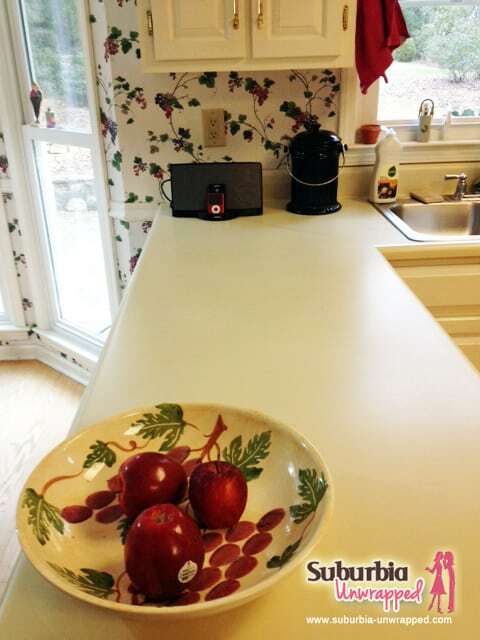 Who really wants to cook in a kitchen that is cluttered and disorganized? You can save yourself a lot of time and money by making this a priority on your spring cleaning checklist. Summer produce is bountiful and we need a place to prepare our fabulous meals. Want to invite friends over for a BBQ? Do you want them to see your kitchen counters overflowing with unpaid bills and half eaten, sticky lollipops? Clean and organize your kitchen this month! 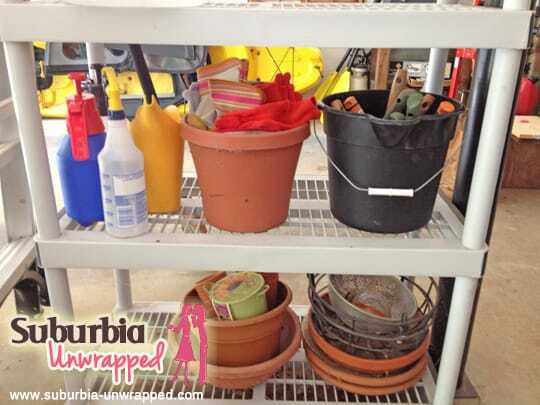 Check out my kitchen organization tips to get started. Read my microwave cleaning hack post and have that thing sparkling clean in no time! How do you expect the children to find their sandbox toys when there are snow sleds and piles of mittens sitting on top of them? Cleaning out the garage is one of my least favorite spring cleaning chores but it has to be done every single year. Enlist the help of the entire family on this one because it is NOT an easy chore to tackle on your own. Get your rakes and shovels mounted onto the walls so they take up less space. Throw away things you don’t need but make sure you aren’t throwing hazardous chemicals in the trash! Place like items together in one space (my garden supplies have a tendency to wander). Take everything out of the garage first. Then sweep it out and selectively put things back in. The key here is ‘selectively’. If you don’t need it, don’t keep it! As humans, we tend to acquire a lot of STUFF. Most of our stuff is crap we just don’t know what to do with. Decluttering is one of the spring cleaning chores you must do to get a handle on your life. Tackle this slowly, one room at a time. Look at every item that you are keeping and ask yourself WHY you have it. Have you used it in the last year? Is it broken? Do you only keep it because you are emotionally attached to it? 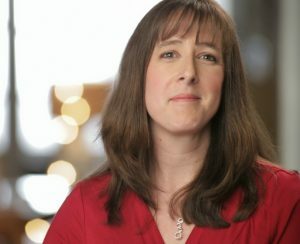 Do we need to be emotionally attached to it? Only keep things that are truly important to you and that serve a purpose. 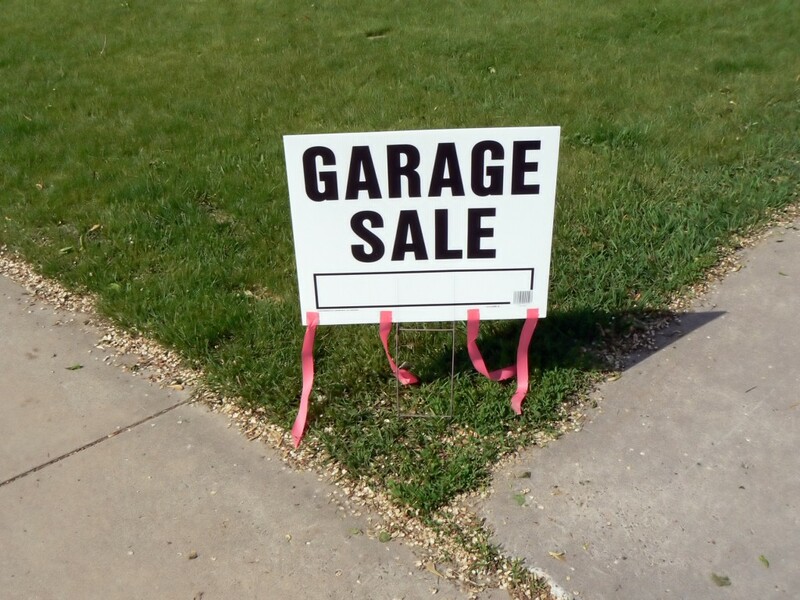 When you are done decluttering, have a garage sale! Take the money and do something fun with your family. Spend your money on experiences, not THINGS so help your life remain uncluttered. Clean out the gutters to protect your home and property from heavy spring rains. Seal holes to prevent critters from coming inside as they start searching for nests. Get your air conditioner checked to help reduce electricity costs this summer. Get the roof cleaned off. Fall leaves will damage the roof if you don’t clean them off. Check your smoke detectors and replace the batteries. This may well save your life. Restain and seal wood decks. 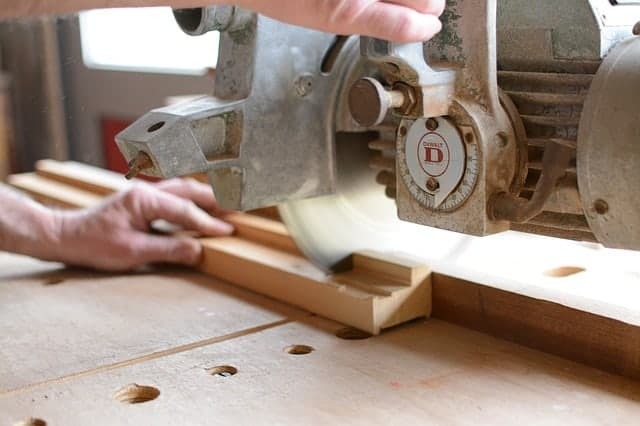 A little work now will add years to the life of your wooden patio. Some spring chores are merely cosmetic. 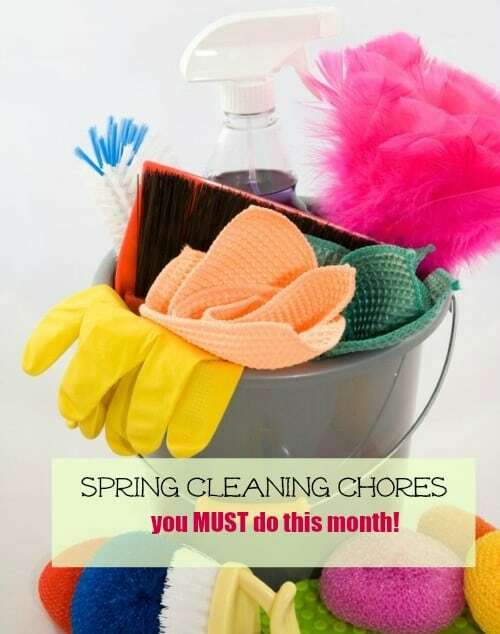 However, there are spring cleaning chores you must do to save you time and money for the rest of the year. What spring cleaning chores are on YOUR to do list this month?